A completely relaxing day in the exclusive resort of Atlantis, with entry to the beach, sunbed and beach towel included. With additionally, entry to the aquarium, what else could you wish for. We will arrive at the famous Paradise Island Atlantis resort, which opened in 1998 and cost the whopping amount of 500 million dollars. The establishment accommodates various hotels, stores, a casino, a water park and numerous attractions. Upon arrival, we will be welcomed by a local guide, who will provide us with some information on the place and accompany us on a half hour tour of the resort, pointing out the areas of interest and the day's schedule. We will have a valid entry pass to the resort's exclusive beach for the entire day, where we will receive a sunbed and a beach towel. We will have a few hours to relax, to spend as we see fit. We will be able to relax under the hot Caribbean sun, swim in the turquoise waters of the ocean, enjoy lunch in one of the outdoor restaurants (subject to payment), visit the shopping areas or try your luck at the casino. 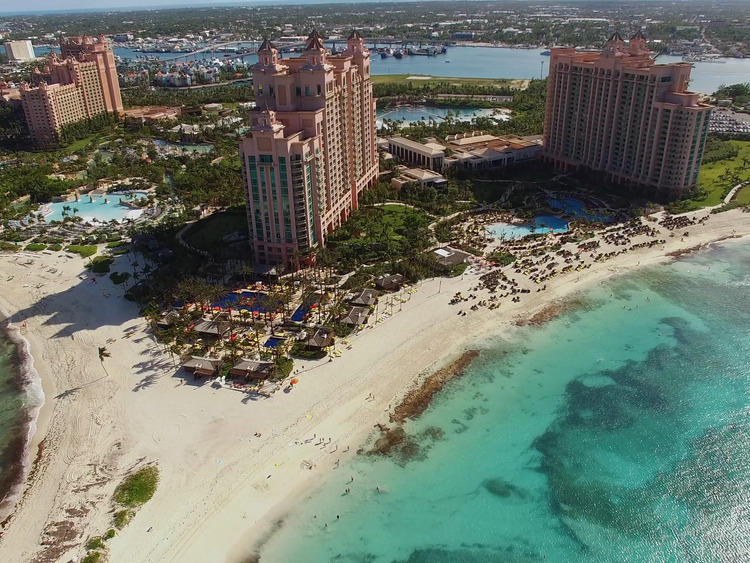 The excursion includes access to the beaches and the Atlantis aquarium. Access to the swimming pools and waterpark is not included. A limited number of lockers (upon payment) are available on site. The outdoor establishments only accept credit card payment. The distance from the ship to the minibus car park is approximately a 10-15 minute journey on foot.? Upon returning to the port, port authority representatives must check documents and your Costa Card. We cannot be held responsible for any queues, in terms of our management and organisation.